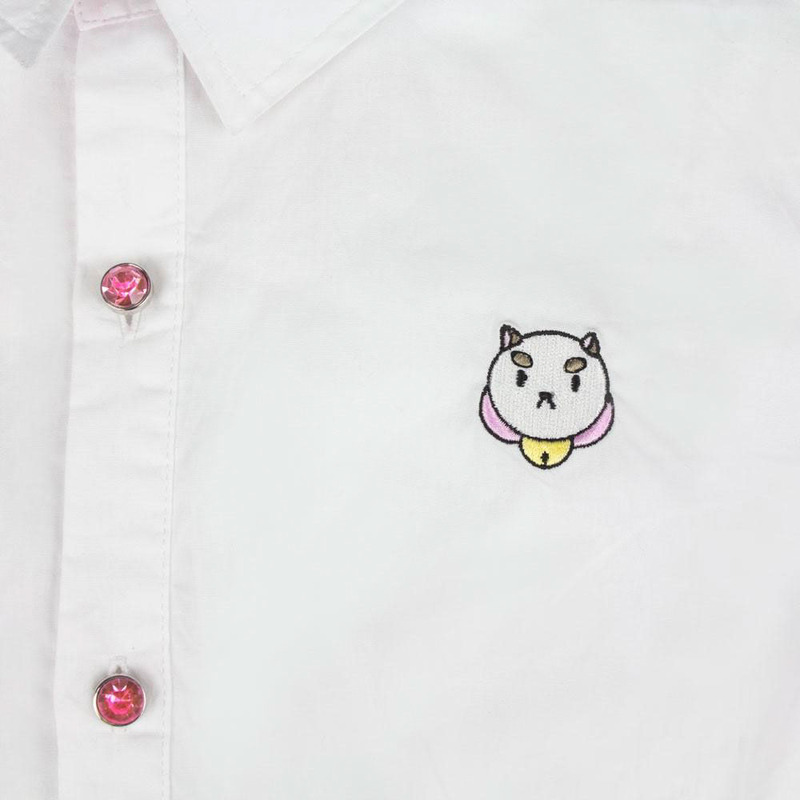 Above: Bee and Puppycat Puff Sleeve Top. 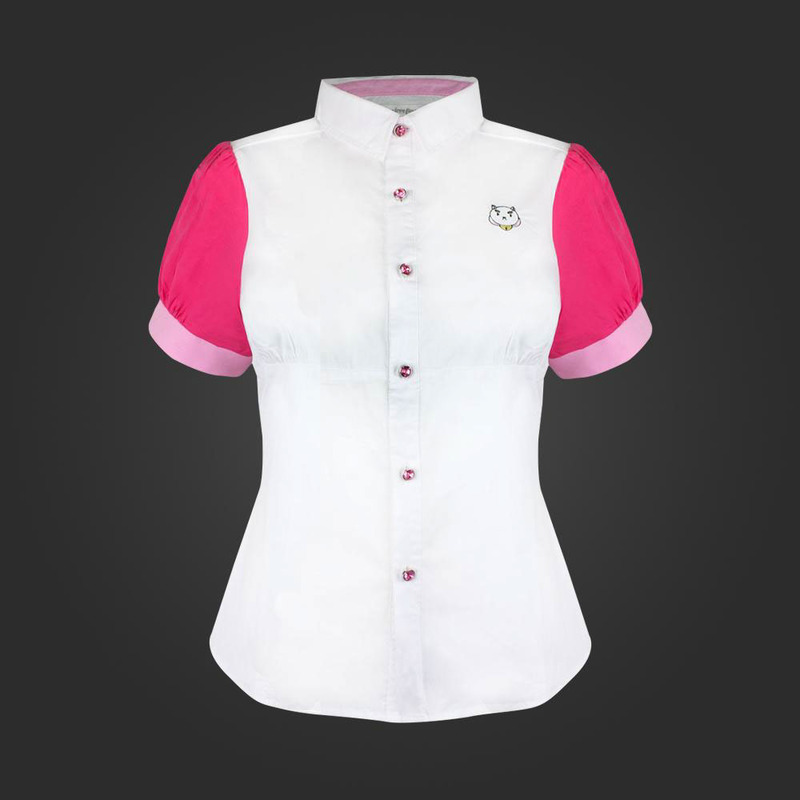 Fitted women's cotton buttonup shirt with contrast puff sleeves, rhinestone buttons, and embroidered Puppycat logo. 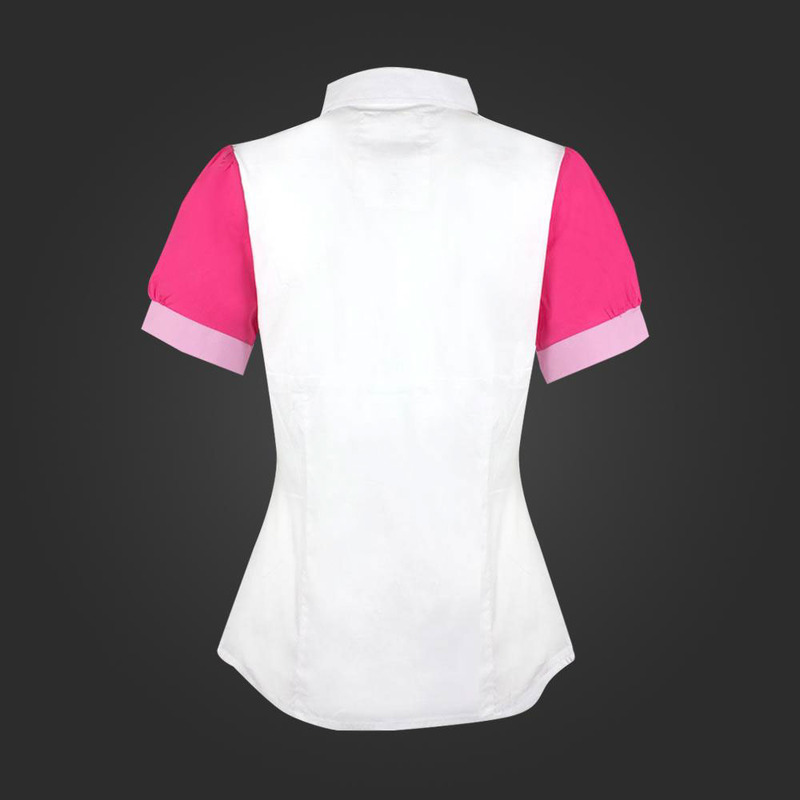 Inspired by Bee's spacesuit outfit (below). Bee in her Spacesuit Turnaround. Artwork property of Frederator. 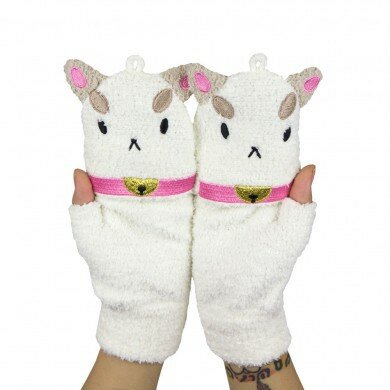 Above: Bee on Puppycat Velvet Leggings. 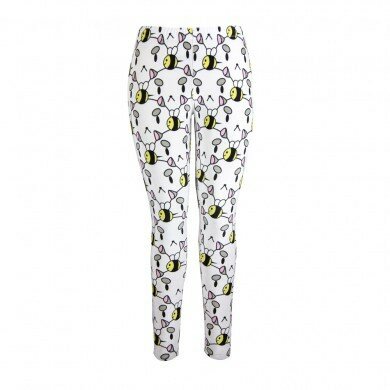 Stretch velvet leggings with all over bee and Puppycat print. 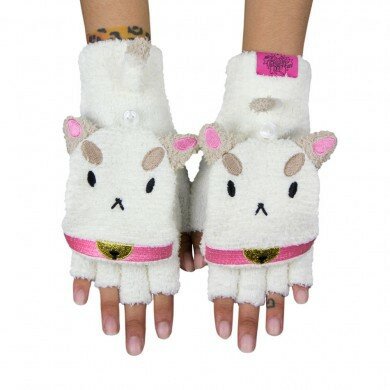 Above: Puppycat plush mittens. 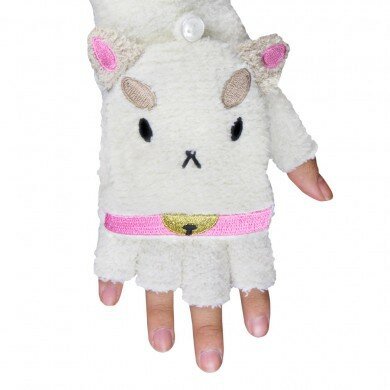 Chenille knitted Puppycat mittens with embroidered details, knitted ears and tail, faux pearl button. 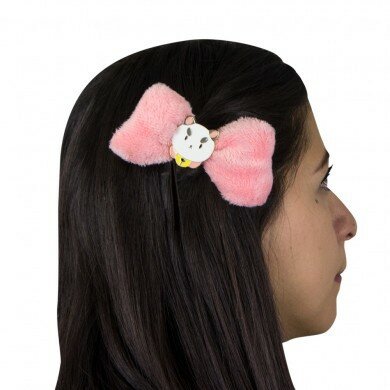 Above: Plush Puppycat Hair and Shoe Bows. 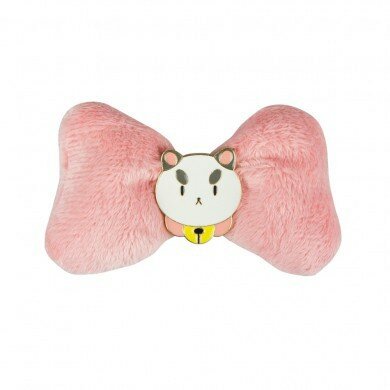 Plush bow with metal and enamel Puppycat face charm. 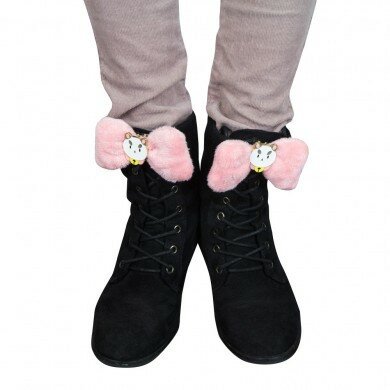 Two way clasp for wear as a hair accessory and shoe bow.